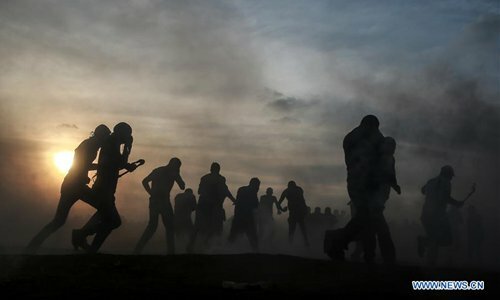 Three Palestinians were killed and 376 wounded on Friday in clashes between thousands of Palestinian protesters and Israeli soldiers in eastern Gaza Strip, close to the border with Israel, medics said. 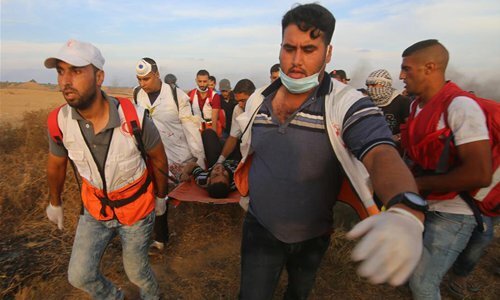 Ashraf al-Qedra, spokesperson of Gaza Health Ministry told reporters that three Palestinians, including a child, were killed by Israeli soldiers' gunfire in eastern Gaza City. A total of 192 of the wounded were hospitalized, including 126 shot by Israeli soldiers' live gunshots, he said. Al-Qedra said that among the casualties, two paramedics and two journalists, including a female, were also injured. 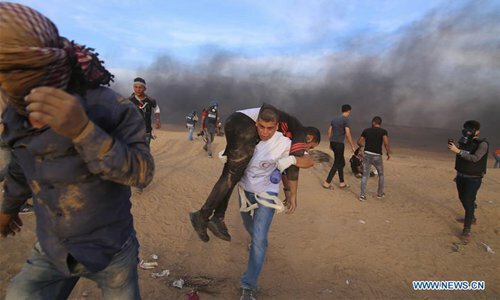 Since the outbreak of the clashes called "Great March of Return" on March 30, the Israeli army has shot dead 197 Palestinians and wounded more than 21,000 others, he said. 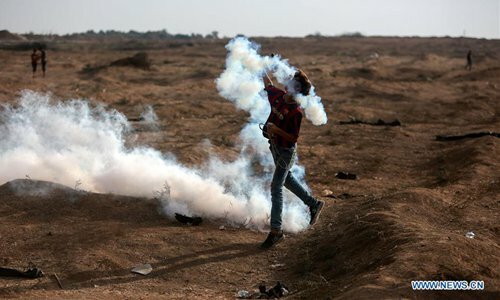 Clashes on Friday broke out when thousands of Palestinians joined the 28th Friday of the event. 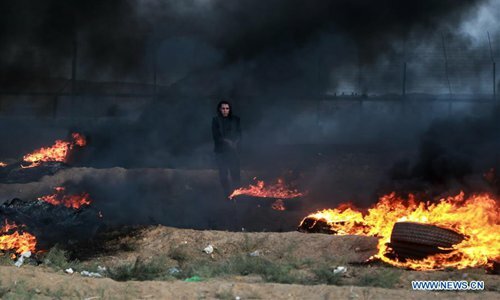 Demonstrators gathered before the fence of the border between eastern Gaza Strip and Israel. 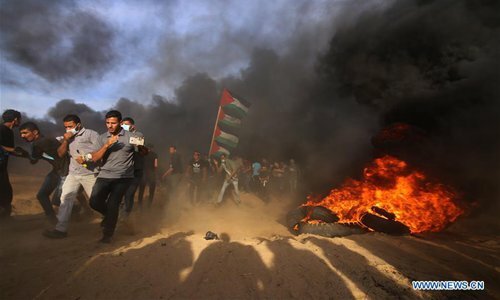 They burned tires, waved Palestinian flags, and threw stones at the Israeli soldiers stationed on the border with the Gaza Strip. 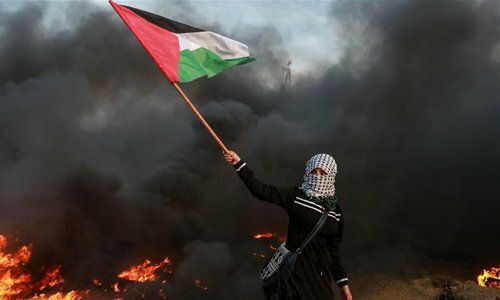 Eyewitnesses said that the soldiers fired tear gas, rubber bullets and live ammunition at the crowds of the protesters who were calling for ending the Israeli blockade. The demonstrators also cut parts of the barbed wire of the fence of the border, where some of them managed to infiltrate into Israel. They burned tires and returned to Gaza. Several masked activists released dozens of arson balloons during the protests, which landed into Israel and caused large fires to various farms and natural resorts, according to Israeli media reports. Security officials and an Israeli army statement said that Israeli army drones fired two missiles at Palestinians who cut the barbed wire of the fence of the border and threw homemade hand grenades at the soldiers, no injuries reported. 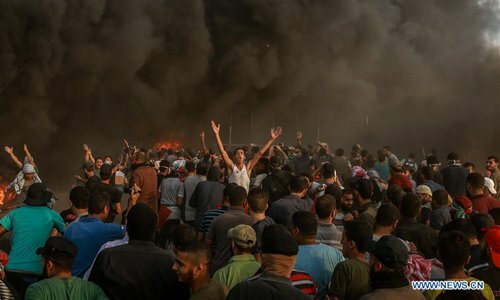 Khaled al-Batsh, a senior Islamic Jihad movement leader, told reporters in eastern Gaza that the Palestinians will carry on the rallies "until we achieve victory and reach our goals." Meanwhile, Hamas movement's spokesperson in Gaza, Hazem Qassem, also said that the practical response to the Israeli threats to end the Great March of Return is "an endless and largest popular participation." Efforts sponsored by Egypt and the UN to reach calm between Israel and Hamas-led factions had so far achieved no progress.